Aznavour was born to Armenian parents who fled to Paris in the 1920s. 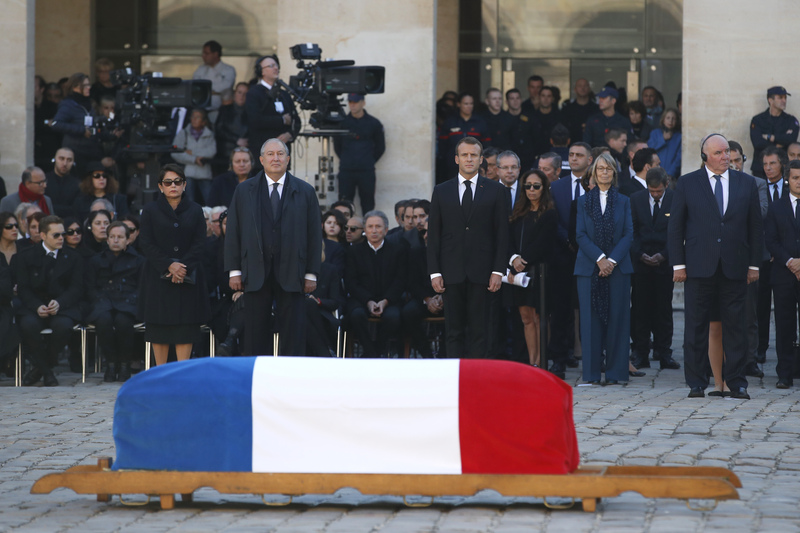 France has paid tribute to Charles Aznavour in a solemn and subdued ceremony that contrasted sharply with the singer’s joyful character. Aznavour, one of France’s most famous personalities, died earlier this week aged 94. 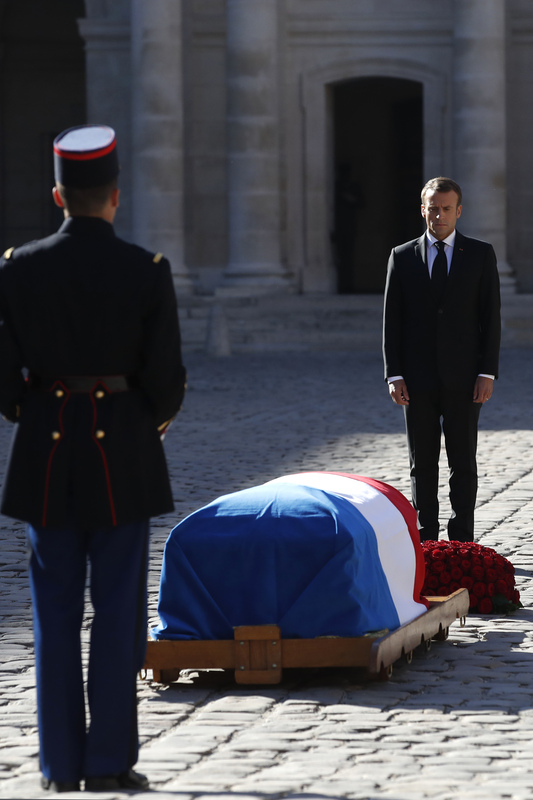 On a mild, sunny morning in Paris, politicians and celebrities gathered near the site of Napoleon’s tomb in the courtyard of Les Invalides, where French President Emmanuel Macron welcomed Armenia Prime Minister Nikol Pashinyan. 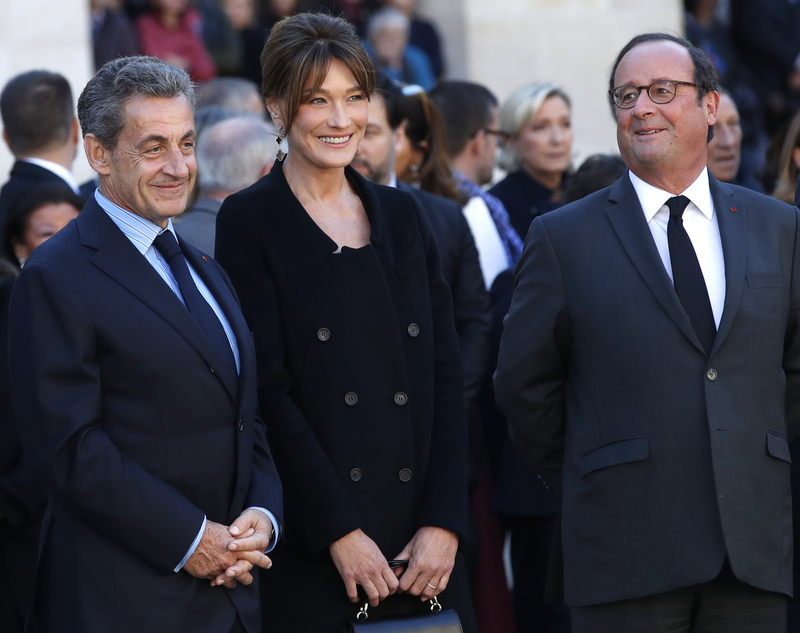 Former French presidents Nicolas Sarkozy and Francois Hollande and actor Jean-Paul Belmondo were among those attending the ceremony. 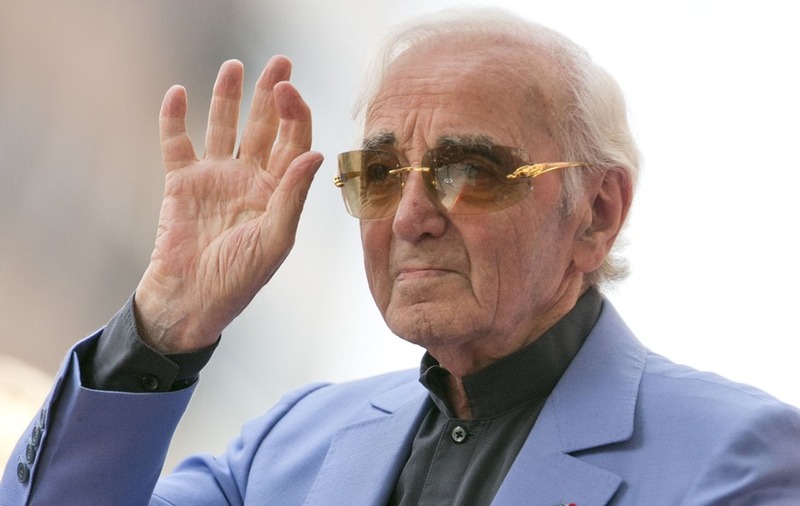 Aznavour, born to Armenian parents who fled to Paris in the 1920s, became one of the Armenian diaspora’s most recognised voices and a vocal defender during a performing career spanning eight decades. 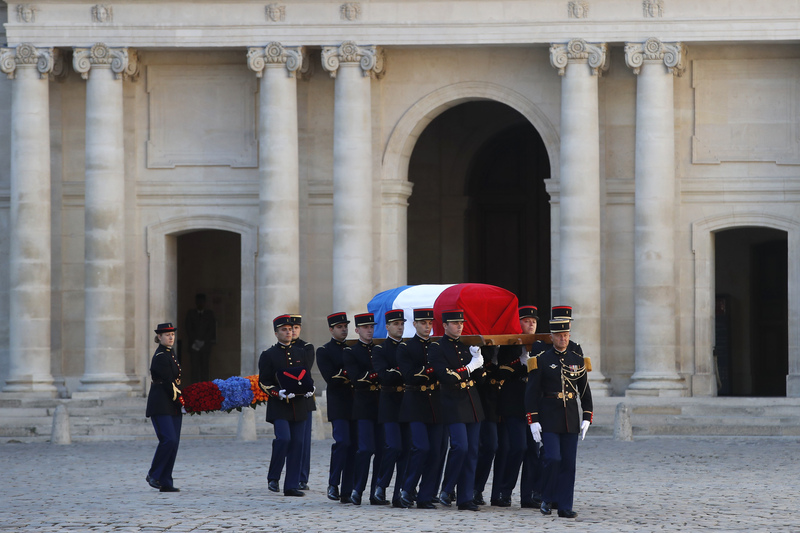 Covered by a French tricolor flag, Aznavour’s coffin arrived in the courtyard carried by military personnel to the sound of a traditional Armenian tune. 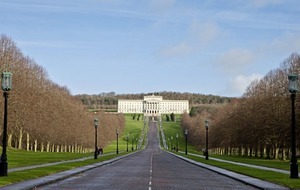 A spray of red, blue and orange flowers – the colours of the Armenian flag – was then laid close to the coffin. He founded Aznavour and Armenia, a non-profit organisation created after the devastating earthquake that hit Soviet Armenia in 1988. 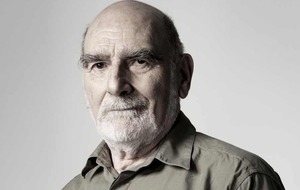 His film credits include Atom Egoyan’s 2002 Ararat, a film that dealt with the 1915 massacres of up to 1.5 million Armenians under the Ottoman Empire. 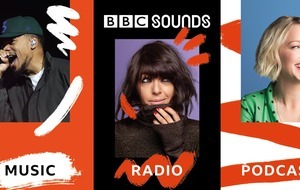 Speaking after Mr Pashinyan, Mr Macron said that “for so many decades, (Aznavour) has made our life sweeter, our tears less bitter”. “His songs were for millions of people a balm, a remedy, a comfort,” Mr Macron said, praising Aznavour for the quality of his lyrics and the promotion of France. “French language is not only the cement of a nation, it’s also the catalyst for freedom and hope,” said Mr Macron, who compared Aznavour to French poet Guillaume Apollinaire. 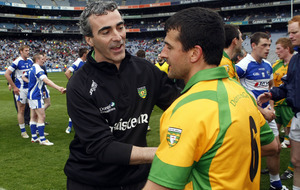 The ceremony ended with a rendition of Aznavour’s hit Emmenez-Moi, which was played as his coffin was carried away. Aznavour started his career as a songwriter for French chanteuse Edith Piaf, who took him under her wing. Like her, his fame ultimately reached well outside France. The crooner often compared to Frank Sinatra sold more than 180 million records and was one of France’s most recognised faces abroad. He sang to sold-out concert halls until the end and wrote more than 1,000 songs, including the classics La Boheme and She. A love ballad, She topped British charts for four weeks in 1974 and was covered by Elvis Costello for the film Notting Hill. 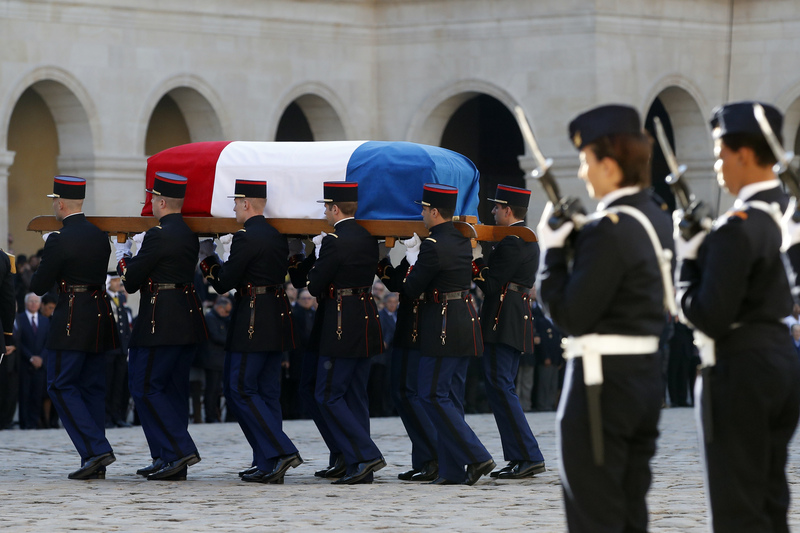 Friday’s ceremony in Paris marked the second time in a year that France has paid tribute to one of its musical stars after hundreds of thousands gathered on the Champs Elysees in December to mourn the death of Johnny Hallyday.